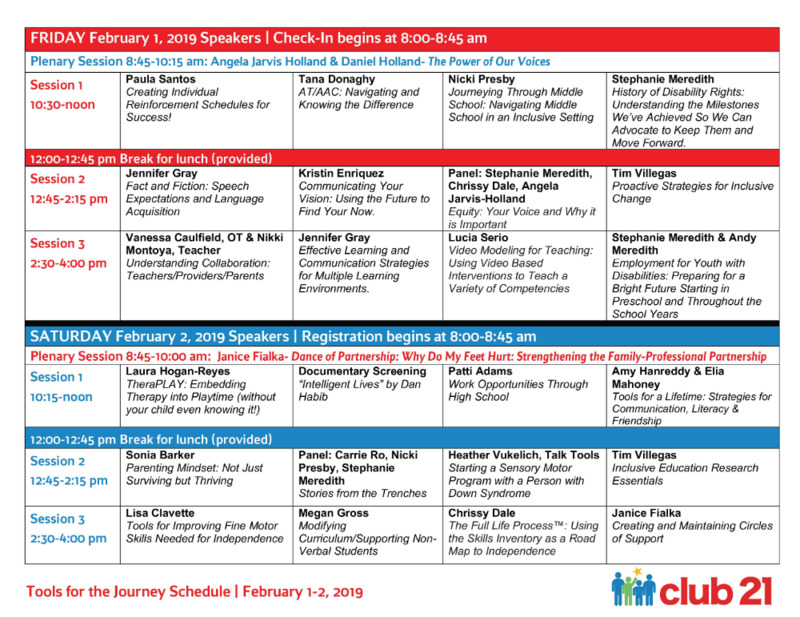 Join educators and families at the 2019 Tools for the Journey Conference, on February 1st & 2nd, where presentations by experts in the field will share the best practices for educating and supporting students with Down syndrome and other disabilities. This year there will be a range of over 12 stimulating workshops from friendship, inclusion support, modifications, technology, and life after High School opportunities. 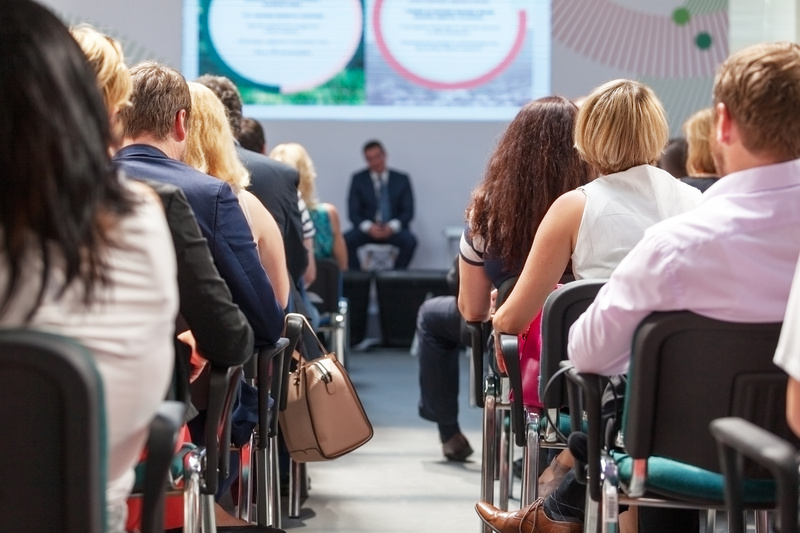 Our presenters come from all over California and other parts of the country and they will share their expertise, innovative, research-based strategies on a variety of topics. YOU won’t want to miss it! Spaces are limited. Laura Hogan-Reyes, MA, OTR/L, SWC received her Bachelor of Science degree in Occupational Therapy in 1984 from Western Michigan University and her Master of Arts degree in Occupational Therapy and Occupational Science from University of Southern California in 2000. She has over 30 years of pediatric experience in a variety of settings including hospitals, clinics, schools and home based treatment. Most recently, Laura worked at Center for Developing Kids from 1999-2017 and was the owner and director from 2004 until she sold the business January 1, 2018. Laura is certified in Neuro-Developmental treatment (NDT) and has received her Advanced Practice Certification in Swallowing Assessment, Evaluation and Intervention (SWC). She has been published in professional journals and has co-authored a book titled “Pediatric Splinting”. Lisa is originally from Canada and worked for 10 years as an OT in Canada in both a Pediatric clinic and for a school district. Since she moved 13 years ago to the Los Angeles area, she has been working as a School Based Occupational Therapist for LAUSD. She has been consulting with the Infant Program and for the North Valley Regional Center, Early Intervention Program for 13 years. She uses different modalities such as Sensory Integration, NDT, RTI when intervening with children. For the last 4 years, Club 21 Learning and Resource Center has been grateful to have her skills, expertise and lovely disposition every Second Saturday at the Learning Program. Lisa strongly believes in Parent Education and using a inter-disciplinary approach with different specialists when working with children with special needs! Her motto is, “Together is Better! Lucia Serio has been involved with Club 21 Learning and Resource Center since 2015, in a variety of roles such as program leader, tutor, education consultant and presenter. She is a former special education teacher and currently works at UCLA, educating special education teachers in evidence- based practices, in addition to holding a position as a part-time lecturer in Cal State LA's teacher credentialing program. Lucia is continuing her education in the area of educational psychology. Her experience with parents, educators and students at Club 21 continues to influence her practices in the field of education. Tim Villegas is the Founder of Think Inclusive LLC, an online resource that provides inclusion coaching and educational consulting for families. He is dedicated to the full and authentic inclusion for people with disabilities in their schools and community. He is also a Certified Autism Specialist and lives with his fetching wife and three adorable children in Marietta, GA. Happy Kids Therapy has a soul-filling passion for children with Down Syndrome. Heather Vukelich, MS CCC-SLP (speech pathologist and feeding specialist) has been part of the Down syndrome community since childhood when she volunteered in the special day classroom at her elementary school. Her passion continued through her life volunteering for the Down Syndrome Connection of the Bay Area and Challenger Baseball league. She has been a practicing, ASHA certified speech - language pathologist since 2003. She has worked inside the doors of the Down Syndrome Connection of the Bay Area (DSCBA) since 2008. Today, Heather's passion for inclusion and independence translates directly into her work with children on speech clarity and feeding development. Heather is a certified Talk Tools Instructor and level 4 therapist. Heather was trained by the creator of the Talk Tools program - Sara Rosenfeld Johnson. (www.talktools.com). Heather sees children of all ages (birth - adults) with a variety of diagnoses. Heather's specialty in working with people with Down syndrome also includes in-depth knowledge and resources regarding: diet, communication, educational programs, medical, physical and sensory needs, airway, orthodontic and sleep apnea as well as behavioral strategies. Heather has presented for TalkTools, NDSC (Sacramento 2017), USC (2017), CLUB21 (Tools for the Journey 2018, 2019), TBODS, and at the DSCBA. Chrissy began her career in sales and marketing before pursuing a master's degree in education in 2001. She gained experience as a teacher, case manager, and guidance counselor in Chicago Public Schools while receiving a master's degree in counseling. After transitioning into the non-profit sector, Chrissy joined Center for Independent Futures to advocate for educational access and resources for students with disabilities. Monica “Nicki” Presby has been an educator for over 25 years. From 1992-2018 she has worked in elementary schools as a student teacher, classroom teacher, master teacher, substitute special education teacher, longterm substitute, education consultant, tutor and education specialist. She also worked with Down Syndrome Foundation of Orange County from 2008-2013 as Director of Education & Outreach and as the lead teacher of The Learning Program. From 2013-2018 she supported famlies homeschooling with a public independent charter school as an Education Specialist. She is currently homeschooling her youngest child fulltime and has homeschooled all three of her children in the past. Nicki’s passion for community and school inclusion has been lifelong, but grew with the birth of her oldest child, Audrey. Audrey was diagnosed with Down syndrome at birth and with Juvenile Idiopathic Arthritis when she was almost 4. Nicki has presented on Best Practices, Curriculum and Inclusion for local homeschool groups, at local conferences and at NDSC with Dana Halle/DSFOC. She has also worked with local public and private schools with supporting students, families, teachers, paraeducators and administrators in best inclusive practices. Nicki lives and works in Orange County, CA with her husband Bryan and three children, Audrey, Will and Eloise. She may be reached at monicapresby@gmail.com. Jennifer Gray M.S., CCC-SLP is a licensed and certified Speech-Language Pathologist in Colorado and owns and operates Grays Peak Speech Services, LLC. She specializes in the treatment of speech, language, and feeding disorders for those with Down syndrome and other diagnosis affecting motor speech. Before starting Grays Peak Speech Services, she worked in university and public-school settings, private practice and research clinics, and Early Intervention boards in Arizona and Colorado. As the abilities of people with Down syndrome are realized she and her team aim to educate, treat, and empower children, teens, adults, their families, and those who provide similar services through innovative methods for functional outcomes that foster independence. She collaborates with the Sie Center for Down Syndrome at The Children’s Hospital Colorado and local parent and caregiver support groups to help each person and family access available services. She has specific training in motor speech disorders, fluency (stuttering), voice (including LSVT LOUD), feeding, and oral-myofunctional therapies. Speaking at local and national conventions allows her to share methods that work for specific populations. Stephanie Meredith is the Medical Outreach and Information Services Director at the University of Kentucky’s Human Development Institute, a University Center for Excellence in Developmental Disabilities. She is also the author of “Understanding a Down Syndrome Diagnosis” and the co-author of “Diagnosis to Delivery: A Pregnant Mother’s Guide to Down Syndrome” and “Welcoming a Newborn with Down Syndrome” as well as other resources. She is also the very mediocre mom of Andy, a 19-year-old with Down syndrome, and her daughters, Kate and Lily. Throughout her 25+ year career, as a Teacher and Educational Administrator Kristin Enriquez, M.A. has created high quality public school programs for children with disabilities in partnership with Early Intervention and Pre-school Providers with additional work at the elementary and middle school level. She has developed collaborations with parents and providers, committing to open and honest communication, enabling better understanding and increased ability to work within systems. She has presented at numerous conferences highlighting her work. She supports increasing access and opportunity for people with Down syndrome through her Consulting Business, Sevi’s Smile, working directly with individuals with Down syndrome, Coaching Parents to understand Educational Systems and working with Educators through Professional Development Opportunities as well as an Inclusion Specialist. She works with Club 21 in various capacities including the Educational Partnerships Program and the Tools for the Journey Conference. She has created Club 21’s Stepping Up Program which offers the information parents of children aged 18-months through 8-years of age need to know about the development of their children, topics in navigating systems and how to support increased access and opportunity. She has four children- ages 4-12, offering her best work. Her second child, Sevi, is 10-years old and has Down syndrome, offering her daily opportunities to practice her skills and test her knowledge. Dr. Paula Santos is a Licensed Clinical Psychologist, and Board Certified Behavior Analyst - Doctoral. Dr. Santos received her Masters and Doctorate degrees in Clinical Psychology from the California School of Professional Psychology, as well as Applied Behavior Analysis certification training from the University of West Florida. Dr. Paula has more than 18 years working with children, adolescents and families developing, supervising and implementing behavioral programs, and skills training programs. She has worked in a variety of settings including in clinic, home, residential, school, and job settings. She specializes in providing Applied Behavior Analysis (ABA) services to those with childhood disorders with an emphasis in communication training, and independent living skills, as well as children and adolescents with ADHD with an emphasis on self-management, attending and organization skills. Following years of teaching at the doctoral level and serving in various positions in the field of psychology and ABA, Dr. Santos started Assessment, Consultation & Treatment as a means to provide more individualized and comprehensive interventions to children and families with diverse needs. In her role as Chief Clinical Officer for Assessment, Consultation & Treatment, Dr. Santos provides diagnostic and behavioral assessments, as well as consultation, training and support to various school districts and organizations. She focuses much of her efforts on improving the quality of clinical services and training and supporting the clinical staff to care for the clients they serve. Dr. Santos lives in Pasadena with her husband and 2-year old daughter and enjoys hiking, traveling, puzzles and binge watching bad TV. Hilda Torres, M.S., CCC-SLP graduated with a bachelor’s and master’s degree from Arizona State University in speech-language pathology. During her studies she earned a certificate in bilingual speech-language pathology specializing in Spanish and English. She also assisted with research in motor speech disorders and dysarthria. Hilda has worked with a variety of children and adolescents with autism, developmental delay, chromosomal disorders, specific language impairment, fluency disorders, and/or intellectual impairment. Her sister, who has Down syndrome, was her inspiration to pursue a career as a speech therapist. Hilda is currently working in the greater Denver area specializing in speech, language, feeding, cognitive, and social skills of children, teens, and adults with Down syndrome and bilingual Spanish/English speaking children and adolescents. She collaborates with Cromosoma del Amor, the Sie Center for Down Syndrome at The Children’s Hospital Colorado, and local support groups. She is also a member of Sibling Tree, an organization that helps empower siblings of people with developmental and intellectual disabilities to become advocates and leaders in their communities. Hilda was a speaker at the National Down Syndrome Congress Convention 2018 and at the local conference for El Grupo Vida. John Brauer, the new CEO of New Horizons, has been assisting individuals experiencing homelessness, mental health challenges, and significant disabilities establish or re-establish their place in the world. A serial entrepreneur, John has run over ten social enterprises for over 25 years, including nonprofit owned and operated businesses, including three cafes, two janitorial & landscaping enterprises, a clerical training and placement unit, and a full production division which provided employment for hundreds of individuals on a daily basis. John was the CEO of NW Works, a non-profit agency that provides employment, training and support services to individuals with disabilities and other barriers to employment. In 2015, John spearheaded the launch of Firefly Café & Bakery. Firefly is a full service café and bakery which trains individuals in various aspects of food service while providing fresh, made-from-scratch gourmet breakfast and lunches to the community. I came to CHLA (Children's Hospital Los Angeles) and Boone Fetter Clinic in 2014. I started working in a private practice in Arcadia in 2016. I am passionate about Down syndrome specifically because as a medical student and resident, I connected with a few children who have Down syndrome and their families. I always felt that the complexities of their medical profile warranted a resource for medical care, social support, and reassurance for families. I learned about Club 21 Learning and Resource Center and after several encounters and learning their mission I wanted to be on their Board of Directors. I love the mission of inclusion and promoting the gifts of all individuals. I am very passionate about educating the medical community to reduce terminology that promotes stigmas. At Club 21 we encourage medical professionals to share hope and faith for the best possible future for all children, especially those with Down syndrome. Ron Lopez- fluent in English and Spanish Languages, with over 20 years of field experience in advocacy and supporting diverse multicultural communities. Worked for LAUSD as a family center coordinator under the Healthy Start grant program, worked as the Latino Outreach Project Coordinator for the Achievable Foundation, and as an Educational Advocacy Specialist for Westside Regional Center. As an Advocacy Specialist, assist families with navigating the IEP and due process from beginning to end, from ages 3 to 22 and sometimes before during the transition from Early Start and after to work and postsecondary education. Andy is a 19-year-old young man with Down syndrome and a Woodstock High School senior in Georgia. He earned his Eagle Scout award last year and enjoys mountain biking, lacrosse, and hanging out with friends. He also works as a front desk clerk at a local grocery store where he rode his bike to apply for the job himself a year and a half ago. In addition, Andy is a photographer whose work has been featured by the US State Department at medical hospitals in Russia, and his photos have been sold to benefit non-profits. He is currently working to build up his brand at andymeredith.com to also work as a hipster photographer with his dad after graduation.